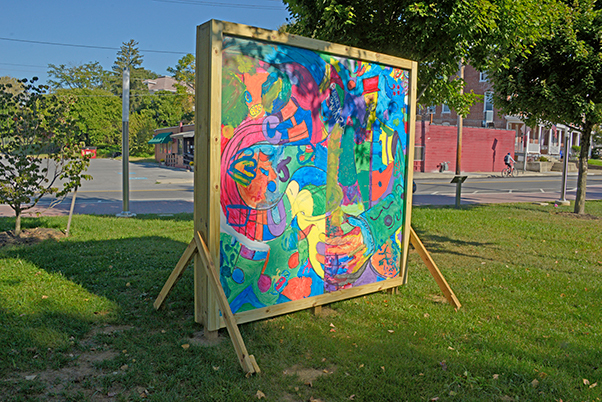 Designed by Hagerstown artist Judah Claxton, this temporary mural pays homage to the cultural heritage of the Hub City. It came to life as Fall Fest 2017 attendees gave it color. 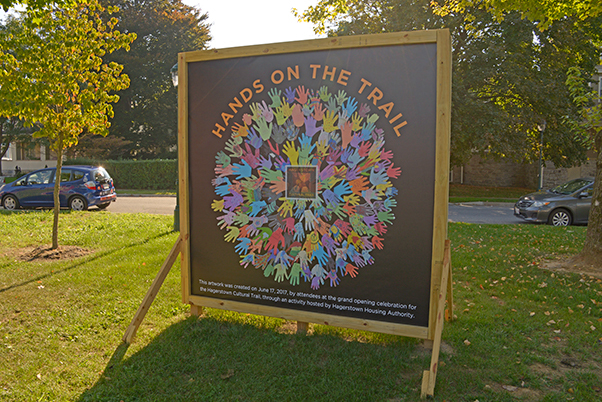 This artwork was created on June 17, 2017 by attendees at the grand opening celebration for the Hagerstown Cultural Trail through an activity hosted by Hagerstown Housing Authority.